For our purposes the story begins back in those halcyon days of the early 80s, where our guest was a founding member of The Prefab Messiahs,(another band who should've been included in the 'Children of Nuggets' box, imho). Here Ned Raggett and Brian Goslow shed some light on said beginnings. Yes, hip trippers, it's Kris Thompson! After that he was a Jasmine Love Bomb, a Nisi Period, an Abunai!, and is presently in the three-theremin-plus-one-guitar group called The Lothars,(If you know your music you'll get that reference,) along with two other projects: Concord Ballet Orchestra Players, who's bio' is here, and Bobb Trimble's new live band (tentatively "Bobb Trimble's Flying Spiders"), which just played (on 8/4) the eastern MA tourstop of the Byron Coley-curated "No More Bush Tour", presented by Arthur Magazine and Ecstatic Peace. "Judging from their affinity for psychedelic pop/rock (with some improv elements thrown in as well), the Boston quartet Abunai! are major admirers of Syd Barrett-era Pink Floyd. The band originally formed during the mid-'90s, when Dan Parmenter (bass), Brendan Quinn (guitar), and Joe Turner (drums) got together to jam — all of whom had previously logged time with other local groups. Shortly thereafter, multi-instrumentalist Kris Thompson (organ, synthesizer, theremin) signed on, rounding out Abunai! to a four-piece. Signed to the indie label Camera Obscura, the quartet issued a pair of albums during the latter part of the decade — 1997's Universal Mind Decoder and 1999's Mystic River Sound — which resulted in coverage in such renowned publications as Magnet, Rolling Stone, and Alternative Press, plus airplay on the BBC's John Peel show. For their third release, 2000's Round Wound, Abunai! condensed several years' worth of improv jams at their rehearsal studio into a single disc's worth of tunes. In addition to his Abunai! duties, Thompson also leads an experimental side project, the Lothars, comprised of several theremin players." Having given Mystic River Sound another thorough listen in the wee hours this morning I can state it's a keeper with great scope of vision; kaleidoscopic, fractal, crunchy, cathartic. Proof the band's members know their antecedents well and enjoy the game of "spot the influence" as much as the rest of us. Kris is also well-known for his championing of Bobb Trimble, whom he befriended back in the early-80s "Wormtown" (Worcester, MA) scene. His feature on Bobb for the Terrascope Online details extensively his relationship and is a fine piece of writing, too. 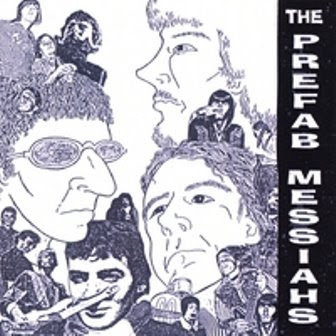 "Meanwhile, Kris Thompson, a mainstay of the Massachusetts psych rock scene whose early-'80s band the Prefab Messiahs had played around the same Worcester punk scene as Trimble, became a vocal proponent of Trimble's music. His band Abunai! 's 2000 album Round-Wound features Trimble playing guitar on one track, and Thompson compiled an archival vinyl release called Life Beyond the Doghouse in 2002, featuring one side of previously unheard studio recordings made after Harvest of Dreams and one side of live tracks by the Crippled Dog Band. After the gray-market U.K. reissue label Radioactive Records released an unauthorized CD of Harvest of Dreams in 2005, Thompson urged Secretly Canadian Records (whose act the Impossible Shapes had been compared to Trimble in a review) to properly issue both albums, with full-color covers, extra tracks, and superior sound. For the record-release party for the Secretly Canadian reissues, Trimble played his first-ever gig outside of Worcester, MA, a November 2007 performance at the Cambridge, MA, pub River Gods." - I didn't compile 'Life Beyond the Doghouse' -- I wrote the liner notes for it. I've found Kris to be a gentleman's gentleman in all my contacts with him on now-counless occasions. I think you'll enjoy his answers, too. Let's get to 'em! 1. In ten words-or less, define "psychedelic music." ...combines strangeness/beauty/euphoria, transporting you from the here/now. K.T. : In the raw "yes or no" scenario, I'd say "yes". In practice, that usually needs to be qualified with something like "...but more like early Floyd or Hawkwind than Phish or The Dead". If you can take "playing psychedelic music" to mean "providing transportational means to the mind, imagination, or spirit by aural stimulus", then sure, baby -- we're psychedelic. 2. What is the most psychedelic instrument, why? You might think I'd say theremin, or fuzz guitar, or sitar... but have you ever heard someone play the musical saw? Yeah, a hack saw with a violin bow. You could say it's like an "acoustic theremin" sound. Very spooky & cool. Josephine Foster can approximate it with her voice, which is dandy to hear. 3. 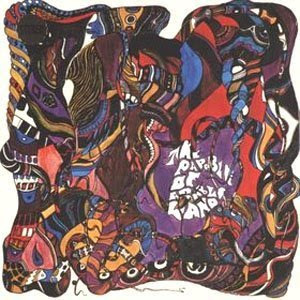 Favorite psychedelic album of all time? It may seem too obvious, but 'The Psychedelic Sounds of the 13th Floor Elevators' is just such a fresh howl, even all these years later. 'Happy Trails' by Quicksilver Messenger Service is also a tried and true classic -- the band is totally gelling in a Wild-West cactus-button group mindlock. What also feels like a warm brain-cradling blanket: Grace Slick and the Great Society's 'Collectors Item', a live, raw and lovable 2LP pre-Airplane set that includes the previously issued single-disc 'Conspicuous Only in Its Absence'. 4. Who is your favorite member of the Byrds (any era) and why? 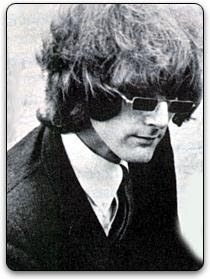 Oh, probably Roger McGuinn circa 'Notorious Byrds Brothers'. He was still experimenting and innovating after several other great records, and in the process enhancing some lush and special arrangements. I was listening to The Byrds for a long time before I gave this album its proper due. 5. What song or album that wouldn't fall into the classic "psych" definition is, nevertheless, psychedelic to you? Well, Bobb Trimble's two original albums aren't psych in the classic sense, but enough people (including me) consider them psych that I wont use either of them for my answer. Is it cheating to use a krautrock album? 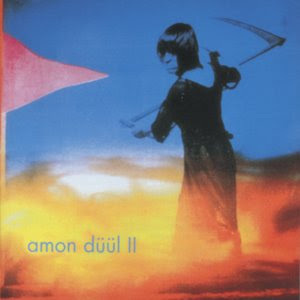 If not, let's say Amon Düül II's 'Yeti'. 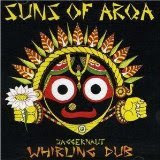 If it is, how about Suns of Arqa's 'Jaggernaut: Whirling Dub'...it's a dubby world fusion chillout affair. When I put it on at a party, people always want to know what it is. 6. What psychedelic album do you wish more people knew about? 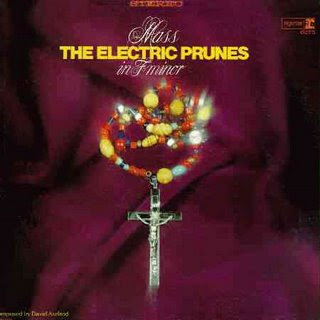 I think people avoid listening to The Electric Prunes' 'Mass in F Minor' for a variety of reasons. The band had been hijacked by producer David Axelrod by that time, and only a couple of original members stuck around for the sessions. Plus, rock listeners are simply turned off by an album title like that. It's a monster of a psych/orchestral fusion, though, and very rewarding listening -- even if you're not particularly interested in the Latin Mass. 7. What band, active today, most defines "psychedelic" to you? A show by Psychic Ills two years ago totally bowled me over with its stratospheric zonkitude. I know they're still at it, so I need to see them again a.s.a.p.! 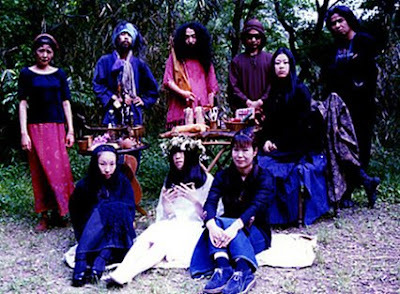 With that said, though, it's hard to deny attention to the nonstop activity of Acid Mothers Temple (and their offshoots). Seemingly, they're the Energizer bunnies of psychedelic freak-rock. As a side note, I had the incredible experience this summer at Terrastock 7 playing onstage with their lead guitarist Kawabata (I was on bass). It came about because Jesse Poe from Tanakh had showed up without a band, and 2 hrs. before his set recruited us -- along with my fellow ex-Abunai! mates Brendan Quinn and Joe Turner -- to do real-time improv accompaniment to his songs." I also have to mention the Finnish group Kemialliset Ystävät ("chemical friends"). They often get called "freak folk", which may be somewhat misleading. They actually seem to be a band who has reinvented (deconstructed and reassembled) a refreshing kind of new psychedelia from the inside out. I caught them again recently at a basement show in Boston...all but one of the seven members had their own small mixers, fed by a variety of acoustic and low-to-mid-fi electronic instruments. Each song was droney but distinctive, with a lot of good interplay. Definitely worth checking into. 8. What album would you most like to cover in its entirety, why? If you extrapolate from past actions, it'd be the 13th Floor Elevators first one. Abunai! did a live version of "Reverberation", and The Prefab Messiahs did "You're Gonna Miss Me" and "You Don't Know". I rarely think about covering an entire album by someone else. I think I'd rather be part of a multi-artist recreation of an album. But either way, now that I think of it, Red Crayola's 'Parable of Arable Land' would be a lot of fun. It'd be open to some interesting interpretation because of its looseness. It might also be fun to take on a great psych comp like '30 Seconds Before the Calico Wall' (Arf! Arf!, 1996). 9. Top Ten Psychedelic Songs? Although I'm pretty eclectic, 8 of these 10 are 60s tunes -- just because I think you can't underplay the catalyzing impact of the original psych explosion. 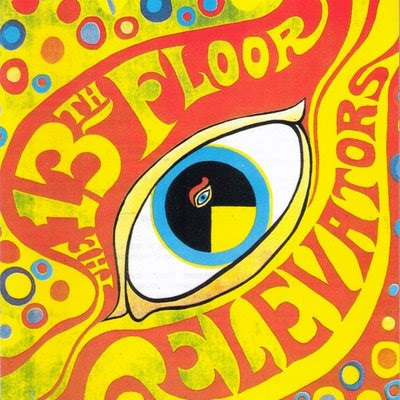 13th Floor Elevators - "Kingdom of Heaven"
The Byrds - "I See You"
The Dovers - "The Third Eye"
The Human Expression - "Optical Sound"
The Looking Glasses - "Visions"
Red Crayola (Red Krayola) - "Hurricane Fighter Plane"
The Revolving Paint Dream - "In the Afternoon"
The Third Bardo - "I'm Five Years Ahead of My Time"
Bobb Trimble - "Glass Menagerie Fantasies"
For songs that I played on, "Dreaming of Light" by Abunai! still spins up the highest third-eye dazzle for me. Also, at age 19, I played some minor parts on Bobb Trimble's songs "Armour of the Shroud" and "Another Lonely Angel". 10. Turn the tables, if you'd like, and ask me a question. Kris: What if "The Hokey Pokey" really *is* what it's all about? -valis: In a moment of clarity, early this morning, after reading this question Kris, I came to realize what is meant by: "Those who know don't speak, those who speak don't know." It rather fits. I'm also inclined to believe, because I ...read about it in a laundromat when I picked up a magazine there.., told me the plain truth....life is a mushroom, taking you for a semi-conscious ride. Let's lift the grass, acid friends! Anyone interested in the outcome of the finished 2nd HOMEMADE-LOFI-PSYCH PRESENTS SAMPLER (HLFP 02 EMBRYO THOUGHTS)? Here it is for your enjoyment: A mind blowing collection of inner and outer space snapshots of different kinds (contemporary new psychedelic & experimental music). Wow. Mentions of Hawkwind, the Electric Prunes and a nod to Lothar and the Hand People. Makes me feel right at home! Change is Now offa Notorious Byrds Bros. is one of my favorite psych albums. i'd actually rather listen to NBB than Sgt. Pepper any day of the week. Mr. Thompson definitely has amazing taste in music, echoing what JK said above. Another really great and informative interview, Valis. I echo SR71's sentiments about the NBB album. Like Mr Thompson said, I was a late developer to that album for some reason. Now it's in my top ten 60's album list (admittedly ever-changing!) Keep up the superb work. My fave yet mon ami. I'm now wondering if I dare check out 'The Finnish Group' but I'm sooo intrigued! How strange too that 'The Revolving Paintdream' should surface here when we just talked about em the other week. 'The Psychedelic Sounds of The 13th Floor Elevators' is in there. Have to say Valis, I'm absolutely lovin' these Thursday interviews of yours. Fine interview Valis. Thanks as always..